Maggie Strachan, me and Joan MartinWe had a most enjoyable and very successful opening of our exhibition: Lost, Found and Stolen @ Fat Tuesday on the 8th. Jeanette Gilks gave an interesting address with her usual insightful take on the works. Tomorrow Ana Pereira deVlieg will conduct a walkabout, but for now ... here are a few pics from the opening by kind courtesy of Harry Lock who is a fabulous artist, photographer. I'll post photos of my new works within the next two weeks. 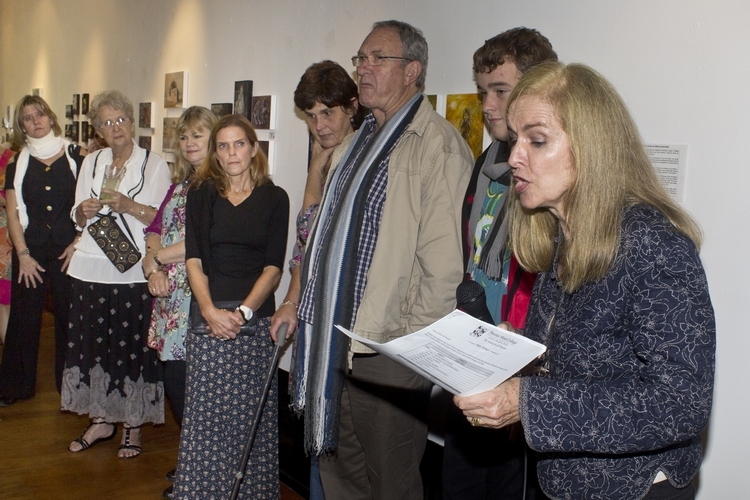 Jeanette Gilks giving her address at the opening on Tuesday.